We are the Kin Club of Coquitlam, a community service group that serves our community's greatest needs through volunteer and community participation. We promote service, fellowship, positive values, and community and national pride. Additionally, our members enjoy personal development and growth. We do this by being involved and enriching our community, building a spirit of co-operation, tolerance, understanding and equality among all nations and peoples. Based in Coquitlam, we are a co-ed club and welcome men and women from throughout the Vancouver Lower Mainland who are interested in doing some volunteer work in their community in a fun and social environment. Stay tuned! More events are coming soon! Proud sponsors for our Community Equipment Legacy. 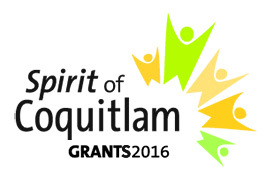 The Coquitlam Club is regularly out and about in the community. Whether it's going with our food trailer to a great local event, hosting our own fun event or helping out a community organization or charity. We are here to make a difference where it counts for our community. The Coquitlam Kinsmen Club meets every 2nd & 4th Wednesday's of each Month at 7:00pm. Why join Kin? Grow. Learn. Make friends. Have fun! It can all happen - join the club! You can make a difference in your community by getting involved with a great organization that also offers development opportunities and more.